John Kirwan: “Coaching the Barbarians again is an honour and I see it as my responsibility to uphold our prestigious name and make sure it continues to be a viable option in the professional era. I need us to keep that tradition alive by playing incredibly well. What I’ve always liked about the Baa-Baas is their sense of fun and old-fashioned values. In a way, the Baa-Baas embody the ethos of rugby and that needs to be maintained. We need to compete, so we’ve put the best footie team forward to do that. Rugby is still the game I love and I think it’s really important we have occasions like this. Whenever you talk to the players, they really enjoy the week preceding a Baa-Baas Test. The last time I coached the Baa-Baas in London was in 2011, when my captain was World Cup winner John Smit. I spent a hugely enjoyable week with him. It’s usually Kiwis knocking ten bells out of South Africans and vice versa, but throw in a few Scottish and Argentinian guys, some South Sea Islanders and suddenly you have a really good mix and everyone gets on. a real excitement machine and it’s the same with Francis Saili – the wings are bigger than the locks. We’ve also got Nick Cummins operating in a roving role out wide. ‘The Badge’ can do what he wants! He’s a great guy. I will also pick a few exciting southern hemisphere players on the cusp of Test call-ups, so it will be a huge opportunity to showcase their talent on the big stage. They know a fair few of the Australians, which should really add some spice. The Wallabies gave us a cuffing (60-11) back in 2011 and we won’t want a repeat of that. They play a good style of footie so it should be a spectacle for fans. Under new coach Michael Cheika, they will be desperate to find a way to win. They’ve got some real balance, in the loose forwards especially. Take Michael Hooper – he’s a special player. A few years ago they may have said he’s too small for this level, but he’s rapid and a great breakdown operator. 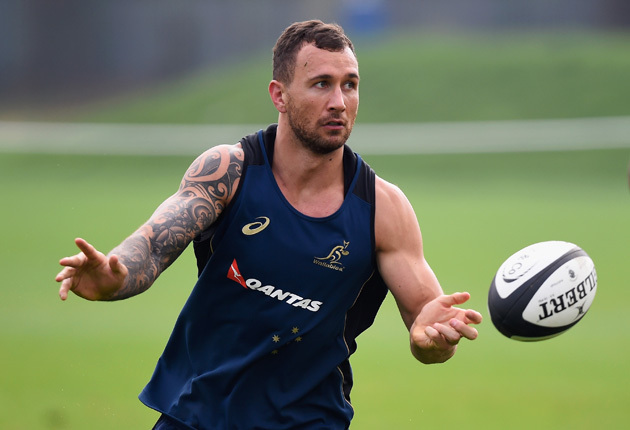 In the backs, someone like Quade Cooper can change a game and Israel Folau is Australia’s Sonny Bill Williams. He has incredible handling skills. Given an inch, he’ll punish you. 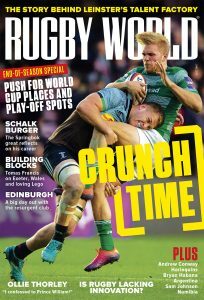 Want to know what else is in the mag this month? Then click here to find out.